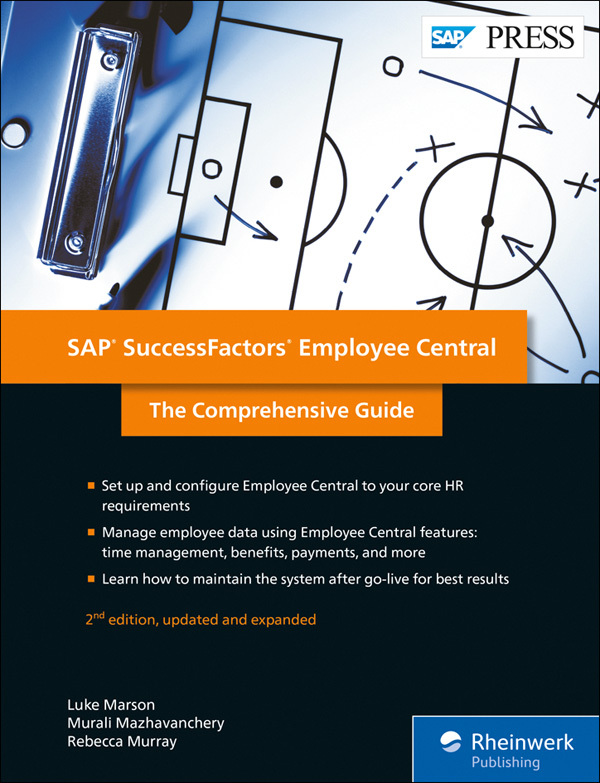 The second edition of the SAP PRESS book SAP SuccessFactors Employee Central: The Comprehensive Guide was released in November 2017 and again was co-authored between SAP’s long-time Employee Central product owner Murali Mazhavenchery, fellow Employee Central expert Becky Murray, and of course, myself. The book is not just updated, but has new content and a refined chapter structure. The guide should form an essential part of any user, administrator, consultant, aspiring consultant, or product expert’s learning material to get a better understanding of how Employee Central works. In Chapter 22 we covered the topic of integration and below you can find an excerpt from chapter 22, section 3. You can use APIs when custom integrations need to be created. They typically aren’t used for data migration. Below highlights which API to choose based on your needs. We’ll now take a look at both APIs and their use cases. The OData API is the core API provided to integrate Employee Central with other systems. The packaged integrations provided by SAP leverage this API, and it contains deep functionality for querying, updating, and purging data in Employee Central. The OData API is built on the Open Data (OData) Protocol v2.0, a standardized protocol for creating and consuming data. The latter option enables you to use navigation properties to reach related entities. For example, the National ID Information entity (PerNationalID) and Job Information entity (EmpJob) can be queried through the person entity (PerPerson). This means that you can build a query to retrieve a complete dataset of employee data and related object data, including Foundation Object, Generic Object, and Picklist data. Let’s take a look at an example query to help us understand how this might work in practice. In the PerPerson query shown in the listing below, a dataset for employee Carla Grant is being queried from Employee Central. The query includes data such as national ID, first name and last name, email address, hire date, pay group, all pay components, location, person ID, and date of birth. API Audit Log: Captures payload details for the last 10,000 API calls. Manage API Option Profile: Manages settings for creating new users. OData API Dictionary: Provides information on all entities exposed to the OData API. OData API Metadata Refresh and Export: Enables all OData entities to be refreshed after configuration changes are made. For more details on how to use the OData API, refer to the SAP SuccessFactors HCM Suite OData API: Reference Guide and SAP SuccessFactors HCM Suite OData API: Developer Guide at http://help.sap.com/cloud4hr. The CE API is a web services-based API that uses the SOAP protocol to extract employee data from Employee Central. It is read-only and therefore cannot be used to update data within Employee Central. The primary use case of the CE API is to replicate a snapshot or delta of employee data from Employee Central to payroll and/or benefits systems. As a result, the CE API does not read historical or future-dated records, although it does read changes to employee data within the time period being extracted. It can read multiple changes made in one day. The CE API is used by packaged integrations to replicate employee master data to SAP ERP and Employee Central Payroll and to third-party benefits, time and attendance, and payroll systems. The Employee Delta Export also uses the CE API. Most Employee Central entities are supported by the CE API. The latest list of entities that are exposed to the CE API can be found in the Compound Employee API – Supported Fields (Reference) zip file located at http://service.sap.com/ec-ondemand. The listing below provides an example statement to extract Person Information and Job Information for employees whose company is SAP and whose data was modified after January 1, 2016. The CE API can be audited and monitored within Admin Center, once the features Access to SFAPI Audit Log and Access to SFAPI Metering Details have been permissioned for the user under the Manage Integration Tools permission category. Like the OData API, the CE API uses the API Audit Log that can be found in Admin Center via Company Settings > API Audit Log. In addition, the API Metering Details option found in Admin Center via Company Settings > API Metering Details provides analytics on API usage over the last 30 days. For more details on the CE API, refer to the Implementing the Employee Central Compound Employee API handbook and Compound Employee API – Delta Transmission at http://help.sap.com/hr_ec. As with previous blogs, I hope the content provided was useful and educational. Please don’t hesitate to reach out if there is a specific topic you’d like me to write a blog about.